Here’s just the latest example of how empty-headed do-nothings make things worse for people when, on occasion, they actually do something. The Michigan Women’s Commission, which is under the executive branch of the state of Michigan, filed a civil rights complaint against the CAAC because it was scheduling its Friday varsity doubleheaders with the girls playing first and the boys second. Haskins said the O-K schools switched to avoid a similar civil rights complaint. Philosophically, the MWC has a point for wanting the girls to play second. “In basketball, whether it’s the boys or the girls, the traditional pattern for playing basketball has been that the JV team plays first and the varsity second,” said Tom Wilson, a MWC commissioner. “The second team gets the advantage of more people being out of work and able to attend the games. But the position the girls are in now is worse than subservient. Congrats folks. Now fewer people are watching girls basketball in Lansing than ever, and I’ve seen it firsthand. We’ve been compiling scoring leaders all season for Flint/Saginaw area high school basketball, so we might as well do the standings too. Just click the ‘Standings’ tab at the top of the page. We’ll try and update them at least once a week. Right now, I’m compiling them for Saginaw Valley, Big Nine, Metro, GAC Red and Blue and TVC East. I’m happy to add leagues if you think they should be on there, as long as I can track down accurate records for all teams. 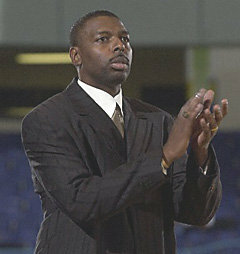 Spotlight: Vince Adams Shocks the Flint-area hoop scene…well, except for me! Vince Adams is making the most of his senior year. 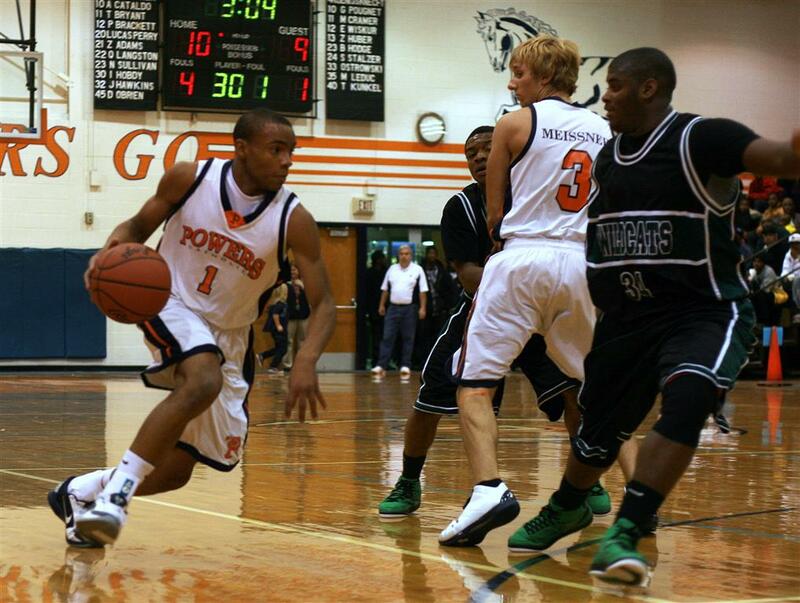 Vincent “Blake” Adams Jr. certainly had to wait his turn to hit the floor at Flint Powers High School. The difference between him and most other kids these days is that he remained patient and stayed put, not that it was easy to do. Those that know him, also know that he bounced the idea around that transferring would be a good move; however, he ultimately decided that his opportunity would come and he wouldn’t waste it when it did. 2010-2011 is that opportunity and he is definitely taking advantage of it. I took some time to find out who this young man really is so that everybody can get to know him. HOLLY, Michigan — This is becoming one of the better rivalries in the area. Holly welcomed Swartz Creek into their gym last night and two and a half hours later we had a winner. Austin Hopkin, brother of former Holly standout Lance Hopkin, found himself all alone in the corner with three seconds left in the third overtime. He swished the 3-pointer to give the Bronchos a one-point victory, 64-63. 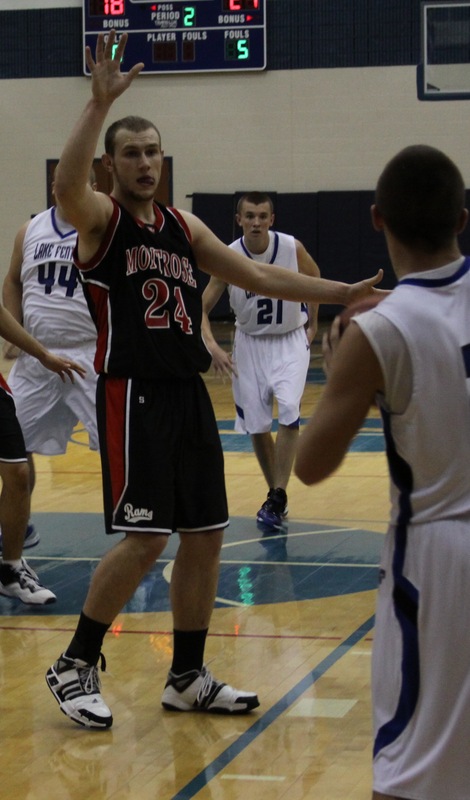 Montrose's Keith Boswell has a very nice all-around game for a big man. Prior to Friday, I’d heard of Montrose’s Keith Boswell and Lake Fenton’s Sean Canning before, but only through impressive statlines that the two seniors routinely put up. I had no idea what exactly either guy did to compile those numbers, however. The gameday experience at Oakland University is fantastic. If you haven’t been to a game at Oakland University, you need to come correct. I was treated to an evening in the Courtside Club at Oakland University last night for the game versus Oral Roberts and, I must say, it was one of my better basketball experiences in recent years. The O’Rena is truly a great venue. The fans are really behind this program and for good reason. It’s exciting basketball in a really fun environment. The O’Rena experience puts a lot of MAC programs to shame. Kudos to the athletic department at Oakland. I think a lot of smaller conference programs act the part; Oakland certainly doesn’t. So, anyway, Oakland survived a scare and senior forward Will Hudson is way better than I thought. The kid was all over the floor last night, showing off his athleticism and toughness. What’s more amazing is that Hudson’s production (21 points, nine rebounds and four blocks) came against ORU’s frontline which is formidable, to say the very least. Keith Benson was Keith Benson. I think he would be a steal if he dropped anywhere below 15 in the NBA draft. He’s big, highly-skilled and athletic enough to be a difference maker. I mean, at the end of the day, he’s better than Greg Monroe. 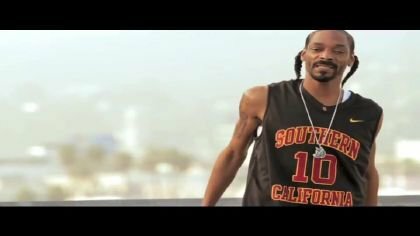 Hat-tip to Patrick Hayes for tracking down this photo of Snoop Dogg with the #10 USC jersey that, we all know, belongs to former Saginaw Arthur Hill standout and the people’s Mr. Basketball, Maurice Jones. Jones, a freshman, is currently leading the Trojans in minutes played, assists and steals. He is also third in scoring. Jeff Grayer talked about the importance of basketball to Flint's history. I have a series running at SLAM currently that attempts to rank the top 30 NBA/ABA-producing high schools of all-time, and two Michigan schools are in this week, Flint Northwestern at No. 23 and Lansing Everett at No. 21. The series is called ‘High School Hierarchy‘, so check out the link to scroll through the schools SLAM has unveiled so far. There will be five more listed each Thursday until we get to No. 1, and without giving too much away, there will be at least one more Michigan school to look for on the list. Shaq Smith‘s name hasn’t gained a lot of traction since he was a freshman on varsity at Flint Northern a few years back. At that time, people talked about Smith like he could be the next great guard out of Flint. Fast forward to his senior season and he’s certainly not that, but he’s really good. Smith led Northern to victory last night on the road at Carman-Ainsworth and looked smooth doing it. He’s the most explosive player in the area from point A to point B. He’s still an elite finisher in the lane, but he has added an extra dimension to his game that we’ve only seen flashes of before: peripheral vision. It’s not that Bay City Western standout and MSU-commit Matt Costello got off to a bad start this season. He’s played well, as expected. But after averaging in the mid-teens through the first few weeks of the season, Costello’s scoring average is surging, thanks to consecutive games going over the 30 point mark. Check out the updated GLH scoring leaders list, and as always, send corrections to patrickhayes13(at)gmail(dot)com.